Italy’s Misano World Circuit Marco Simoncelli, set to stage the Riviera di Rimini Round of the 2016 season, has welcomed the FIM Superstock 1000 Cup every year bar one since the category was inaugurated in 1999. In fact, only Assen has hosted more STK1000 races than Misano, which will stage its 17th this weekend. It all started in 1999, as Italian Ivan Sala won at Misano on only his second outing in the class (it would also prove to be his last), while Lorenzo Savadori has been the man to beat in recent times with two wins in the last two years. The popular venue has become known as a traditional mid-season stop-off, almost always hosting its race in June; the only exception to this was the April gathering of 2004 – only the second of the campaign that year – while the track did not feature on the schedule at all in 2013. The 2016 season is proving to be fervently contested. 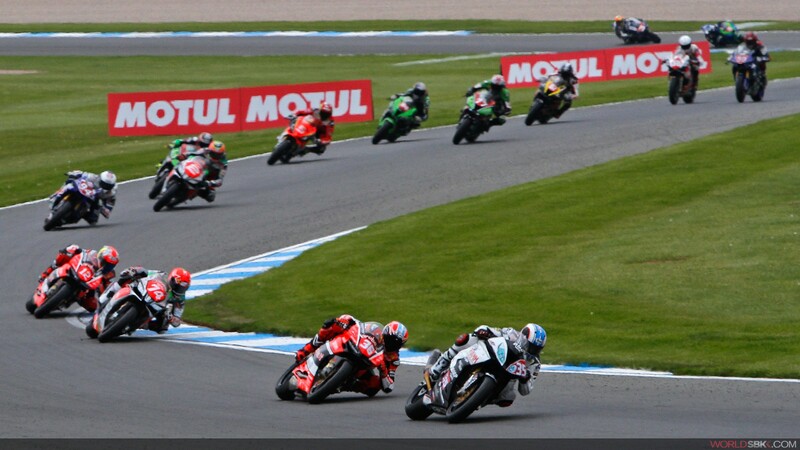 To date there have been four races, four different riders on pole position and as many riders have led races. However, the wins have been equally divided between two names: Leandro ‘Tati’ Mercado and Raffaele de Rosa. The former was the Cup title winner in 2014, while the latter is the man with the momentum as he enjoys a string of nine consecutive podium finishes dating back to the Donington Park race of May 2015. Italy’s De Rosa (Althea BMW Racing Team) has a five-point advantage over Argentina’s Mercado (Aruba.it Racing – Junior Team) while Michael Ruben Rinaldi is 35 points behind De Rosa but engaged in closely-fought combat with Kevin Calia for third overall. Almost unbelievably, De Rosa is the oldest rider to have raced in the class so far this season, at the ripe old age of 29. At Misano, he will be joined by a couple of fellow Italians serving as wildcard riders: Matteo Ferrari (DMR Racing Team) will race for the second time this season following his Imola appearance, while Fabio Marchionni (Speed Action) will start his fourth race in the category but his first in 2016; both riders are racing in the Italian Supersport Championship this year. Elsewhere, Lucas Mahias hopes to rejoin Donington podium finisher Niccolo Canepa in the PATA Yamaha Official Stock Team, after the Frenchman was declared unfit in the UK. Once again, there is movement up and down the grid. At Berclaz Racing by MotoXracing, Tiziano Amicucci has been named as a permanent replacement for Marco Sbaiz, who in-turn takes the ride of Alessandro Simoneschi at BWG Racing. Superstock 1000’s opening Free Practice at Misano will commence at 09:15 local time (GMT +2) on Friday, with the race following at 14:20 on Sunday afternoon.